Samsung is one of the most popular brands in mobile market and Galaxy series of Samsung are one of the most selling Android phones. Day by day lots of new Galaxy phones are coming in the market. And many users want to Root Samsung Galaxy Devices. Rooting has lots of benefits, once the phone is rooted you can take the backup of your whole system, Install Xposed Modules, and install your favorite custom ROMS. Most of all know that the Samsung phones are running on the latest version of Android Nougat. If you recently updated your phone to the nougat version and want to root your Samsung phone in this new update. Yes, it’s possible and thanks for the Chainfire CF-Auto-Root which will work on most of the Galaxy phones. So today in this article we will show you how to root your Galaxy device with CF-Auto-Root. Rooting process will take some time and some patience. 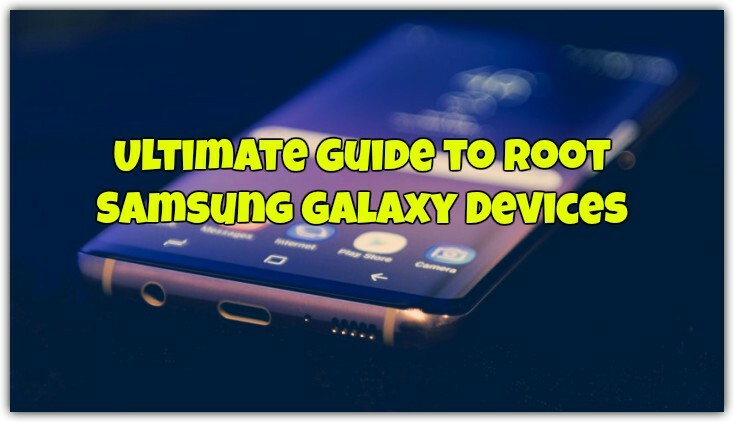 And don’t worry if you are not happy with the rooted phone, then you can easily Unroot your Samsung Phone and revert to the Stock Firmware. So let’s started and root the Samsung Phone. Rooting might damage your phone if you do not carefully follow the instructions. So make sure to read all the steps very carefully and follow all of them one by one on your phone. 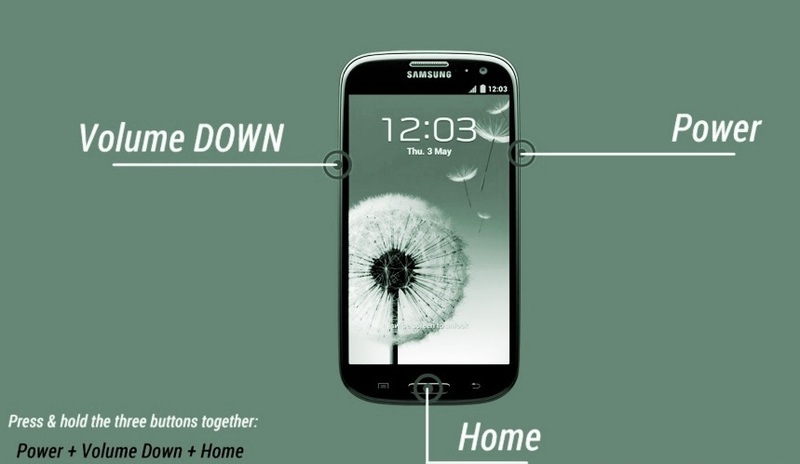 In this guide, we are us the CF Auto Root method to Root Samsung Galaxy Devices. Technobuzz.net is not responsible for any damage that might happen to your phone during this process. First Enable Developer Options. Go to phone Settings > About Phone > Software Information and quickly tap 7 times on Build Number. This will enable Developer Options. Now Enable OEM Unlock and USB debugging on your phone. Go to Developer Options and tap on OEM Unlock and USB debugging to enable it. Download ODIN Flash tool here. This will allow you to Flash the Cf Auto root file on your phone to get the root access. Take the backup of your phone. Make sure that phone is fully charged. First of all download the Cf Auto Root Zip file for your phone from the below mention link and save it on your desktop. Because you need this file to get the root access on your phone. 1. Download the CF Auto Root zip file from the above mention links and extract the folder on your desktop. In the folder, you will see a “.tar.md5” file. 2. Now install the ODIN flash tool on your windows. 3. Boot your Samsung Galaxy phone in Download Mode. To do this first switch off your phone and after that Hold down the Power + Volume Down + Home button. If you have a Galaxy S8 phone, hold and press the volume down, power and Bixby keys at the same time. 4. Once your phone in the download mode. Connect your phone to the PC with USB cable. 5. Now run the ODIN flash tool on your windows and you will see ID:COM boxes in Odin will turn blue. That means your phone is successfully connected to the Flash tool. 6. In the ODIN tool click on the AP button and select the “.tar.md5” file. This is the file we need to flash to root the phone. 7. Once everything is done, click the Start button in Odin to start the flash process. 8. Now the flashing process will start on your phone and the phone will automatically reboot. Wait for your device to boot up. 9. Once the phone is booted, you will see the SuperSU app on your phone’s app drawer. That means you successfully rooted your Galaxy Phone. To check that your phone is rooted or not. Install the Root Checker app from Google Play store and run it once to verify the root access. So this is the best method to Root Samsung Galaxy Devices with CF Auto Root tool. Hope you like this guide, if you are facing some problem during this guide then leave a comment below we will help you to fix it up.